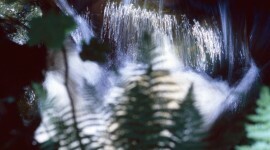 A photography of a river cascading through a dense forest in the Ardennes, Belgium. 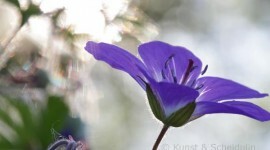 Photography of a Wood Cranesbill blossom glowing in the low sun of a North-Swedish summer night. 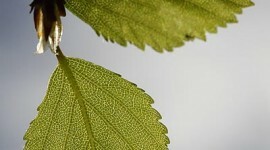 Photography of a fresh and new birch leaf glowing green in the sun. 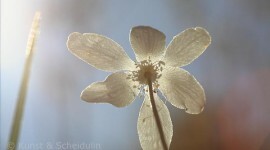 Photograph of a wood anemone glowing in a ray of sunlight. 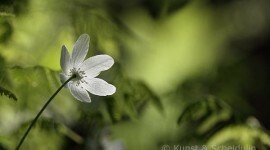 Photograph of a wood anemone illuminated by the evening sun.